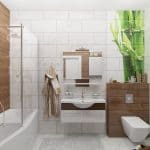 We all know how important it is to pay attention to every seemingly even the most insignificant detail during the renovation of a house or apartment. All this happens because we need to create such an ensemble from the existing components that would be in perfect harmony with each other. And interior doors in this case are no exception. 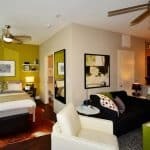 After all, they perform not only a practical function, sharing all the rooms in the room, but they can often become a highlight of your interior. Moreover, now manufacturers offer such a large selection of products of such a plan that you can easily find a model for your taste and wallet. However, the abundance of sizes, materials and forms may also slightly confuse the buyer. Therefore, before making a purchase, It is important to determine the appearance of the product and its technical characteristics. That is what we will discuss later in our article. 0.3 What materials make interior doors? The most important stage from which to start the selection of interior doors, is a thorough measurement of the passage, where they will be installed. In this case, choosing the wrong product size will be a very big mistake. Of course, in many residential premises doorways have standard sizes. Most often, their width is 60, 70 or 80 centimeters. Having decided on the dimensions of the interior door, consult with a specialist for the size you need on the shelves. Otherwise, you will have to make an individual order, which will be more costly in terms of time and budget. Of course, the advantages of such an order are definitely available – an exact size, the ability to embody even the most original idea, etc. As for the height of interior doors, in recent years, this value has changed slightly. 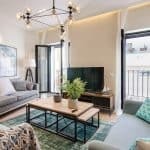 Not so long ago, it was no more than two meters, but with the advent of new buildings and a more original design, the owners of country houses more and more often find in the product catalogs structures that are more than two meters high. Moreover, even modern designers for the most part advise installing high doors. 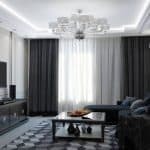 This technique will help to visually raise the ceiling in the room and make the room more spacious. Yet most of the buyers prefer to turn mainly to specialized stores, and not to the joinery workshops. This approach helps to save time and family budget, so it seems more logical and correct. Moreover, to date, manufacturers offer a fairly wide range of models of interior doors, among which may be non-standard exclusive options. In our country, the most popular swing doors, which can be single or double. 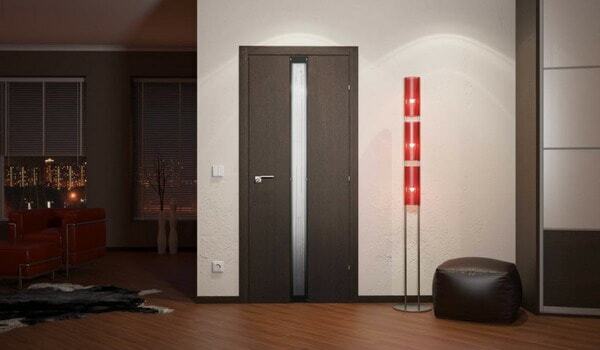 Most often, openings in modern apartments and houses involve the installation of predominantly single-door structures. Despite the large number of more unusual models, such options have long been considered classics and have proven themselves on the positive side. Reasonable price that does not affect the quality of the product. Even expensive doors of such a plan will be much more profitable retractable designs. The versatility of the product, which allows the same model to fit in different styles and colors of the interior. Simplicity and traditionalism are qualities that will appeal to someone who is not very fond of experiments in the design of premises. In addition to single-door interior doors in modern apartments and private houses, recently began to install double-wing structures. This is due to the fact that a wide opening together with large doors helps to visually enlarge the space of even a small room. They give the room a feeling of spaciousness and allow more light to penetrate into rooms with no window (for example, a corridor). In addition, with a large opening for the doors, there is no such problem as the transfer of large-sized furniture. Agree that at the stage of repairing an apartment or house it will become a very significant aspect. However, despite all these advantages, it must be remembered that the double interior doors, as, indeed, all such structures, have their drawbacks. Their disadvantages are rather related to the planning of the premises and the number of square meters of the house or apartment. So, for example, in order to fully open such products, it is necessary to have a large supply of space on the territory of which the installation of furniture or decorative elements is strictly not allowed. Therefore, if the area of your house or apartment does not allow to leave a few meters unused, it is better to think about installing structures of another type. In small premises designers often recommend installing sliding doors, which significantly save and also visually expand the space. They are made on the principle of the doors in the compartment and have long been popular among our compatriots. 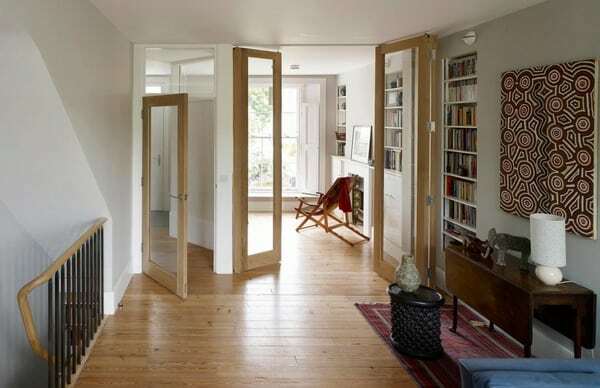 Besides the fact that (as we already said a little higher), such interior doors essentially save the space of a room, they do an excellent job with their main function – the isolation of different rooms from each other. A few years ago, similar products worked on the following principle – two guide rails were placed opposite each other (on the floor and on the wall above the doorway). It was for him and drove such designs. However, at the bottom, such devices often prevented people from moving from one room to another, becoming uncomfortable and often unsuitable for the style of the room threshold. Therefore, in recent years, many manufacturers have revised the principles of production of such sliding structures, leaving only the upper guide in their configuration. Thus, nothing prevents a person from moving from one room to another and is not struck by the guests of the house. One of the subtypes of sliding doors, which also helps to keep square meters in a small room, are the so-called sliding doors. Their difference from the standard options of this type is that they move away not just at the doorway, but to a specially equipped place inside the wall or to the partition, which also needs to be thought out and installed in advance. This leads to one significant drawback of such a product – it will be necessary to draw up a special niche in which such doors could “hide”. Another subtype can be attributed to the people-accordion doors. When opening and closing such structures compactly folded, allowing you to save as much space as possible. However, these canvases are not very popular among buyers and it is extremely difficult to find them in stores – it is best to ask for them in a special workshop. What materials make interior doors? the functional features of the room where such doors will be located (for example, for a kitchen or bathroom it is necessary to take into account high humidity, which can spoil some materials). 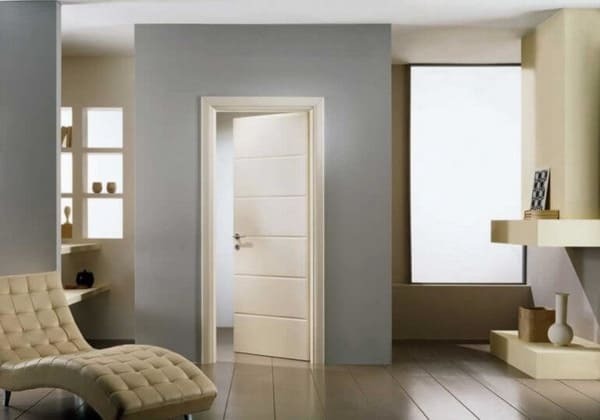 Raw materials, which for several years occupies a leading position as a material for the manufacture of doors. And this is not surprising, because in this case, the manufacturer manages to maintain a good price-performance ratio, which is so important for buyers. Finished canvases often have a small weight, so they can be easily transported. And the choice of such options is quite large – in the shops you will find doors made of fiberboard of various shades, sizes and shapes. Their main drawback is considered to be the relative fragility of the material. In difference from products from the massif of a tree, cloths from DVP with the correct leaving can serve about thirty years. MDF is more expensive material, however, and more durable (compared with the previous type of interior doors). The cloths made of such material will provide excellent heat and sound insulation. In addition, they can be used in rooms with high humidity (kitchen, bathroom, etc.). Solid wood. Natural and durable material, for which, of course, have to pay well. It is considered the most expensive material for the door leaf. But this is justified by its functional characteristics – such doors are not only absolutely environmentally friendly, but also durable – with proper operation they can serve you for more than fifty years. Combined options. Most often, this approach is resorted to manufacturers who want to slightly reduce the cost of the finished product. To do this, they take lighter and cheaper material (for example, pine) as the basis of the canvas. But on top of such wood already put veneer of more expensive and valuable species. Thus, the finished product not only has less weight and a much lower price. Each of them has its own advantages and disadvantages and fits a separate interior. 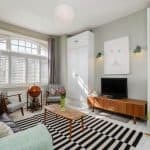 For small rooms, which are made in a modern style and have a neutral shade of the walls and ceiling, it is best to choose beautiful white doors. They will help not only to complement the design, but also visually increase the space, give the room more light and air. 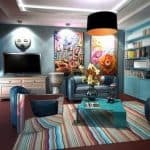 In addition, such products will be a good background for other bright accents – upholstered furniture, lighting fixtures or decorative elements. In some cases, white doors can become a contrasting element in the room – for example, you can achieve this effect by placing them near a bright wall. 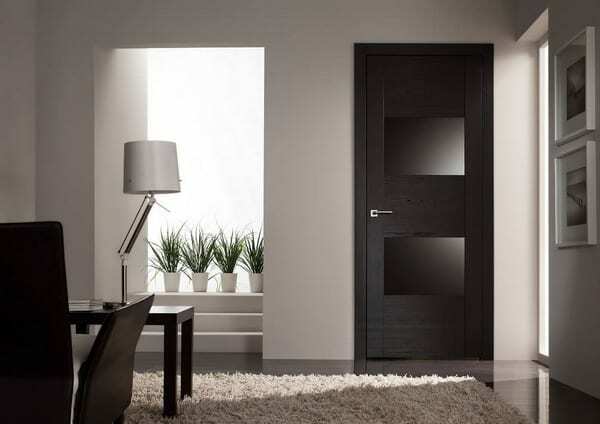 Dark shades of interior doors also have their own functions. They help to add clarity and constructiveness to the overall style of the room and stand out against the background of the walls and the floor. Some shades of dark (for example, wenge) look noble and luxurious, creating an elegant version of the interior. Most often, designers recommend to follow this principle – dark canvases are installed in rooms with light walls. And in order to emphasize the geometry and add a little clarity, it is common for furniture fronts to use the same shade as at the doors. In this case, it turns out successful and harmonious ensemble. Bright doors most often perform one important function – they serve as an accent element of a room. However, do not use the shade of the canvas in only one component of the room. It is advisable to repeat it in several other elements. The bright color of the interior door may overlap with the colors of the curtains, the couch, or even small decor items. Only then will you get a beautiful and harmonious space. 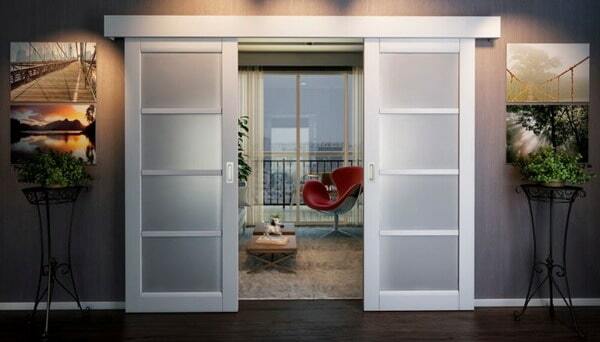 Do not forget that interior doors perform not only practical, but also aesthetic functions. They can elegantly emphasize the space of your room, and with the right approach even become its main highlight. Such products occupy a lot of space in your interior, so you can try to beat their location in such a way that they become the accent of your home. Moreover, at the present time there are practically no restrictions on the installation of a particular model. Especially for those who are at the initial stage of repair. You can express your imagination or use the advice of professionals – in both cases, you will find an original result, which you and your guests will like. Despite the fact that the width of the doors in one room can drastically differ from each other, their height should be the same. Such a balance is necessary so that the whole interior of a house or apartment looks harmonious. It is advisable to select the door leaf in one style decision, so as not to create a sense of chaotically designed interior. At the same time, remember that from the side of the room the doors may differ in color depending on the features of the space. Engage various decorative elements in the door leaf. For example, recently glass inserts have become very popular, which not only give the design originality, giving it lightness and transparency, but also help to let the light into the next room. However, one should not forget that such inserts are undesirable to use in a room with small children or pets due to their insecurity. 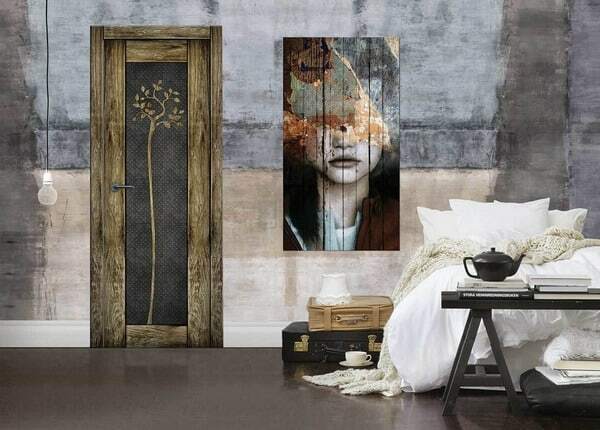 In addition, doors made of natural wood can be decorated with carvings, which, with high-quality design, will be an excellent accent of the product and will emphasize the originality of the room. Obviously, such manual work will have to be additionally paid, however, we assure you that, having seen the final result, you will not regret any such choice. As you can see, today there are a large number of various ways that can turn ordinary interior doors not just into the subject of isolation of one room from another, but also into the highlight of your home. With the right approach, taking into account all the above aspects, you can easily select a canvas that fits perfectly into your interior and will serve you for more than a dozen years. Design Of Modern Bedroom Trends 2020 - how to equip an area for sleeping?